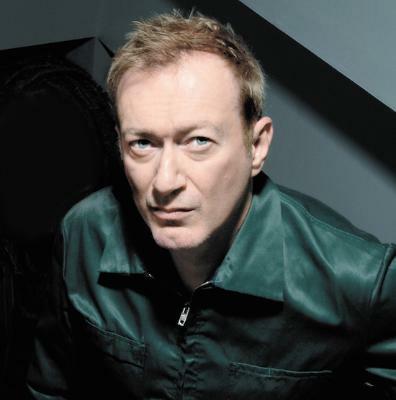 "Sometimes with doing a list like this I think, 'Let's not go too far into the past, let's put new things in,'" says Andy Gill of his Baker's Dozen when we meet in his London flat to discuss the 13 LPs. Indeed, in addition to reggae, disco and rock records, and one classical composition, Gill does throw in a few modern pop albums to round out his selection. Pursuing discussion on the newer records leads to Gang Of Four's considerable legacy, one responsible for every guitar band of the mid 2000s that earned themselves the descriptions "scratchy" or "angular". I mention that my introduction to the Gang wasn't Entertainment! or Solid Gold, nor through Gill's production credits for everyone from the Red Hot Chili Peppers to The Jesus Lizard, but Silent Alarm and Franz Ferdinand. "Yeah, I wish I had the money of Chili Peppers or Bloc Party or whatever," he says. Gang of Four's latest record, What Happens Next, has seen the band moving further away from the post-punk of their previous records while experimenting with elements of electronic and light industrial. Could you dance to it? Not really. But you could, provided a nice pair of headphones, get lost in it.